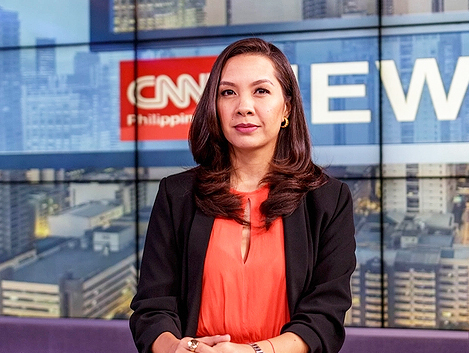 Ahead of her debut on CNN Philippines' New Day, Ria Tanjuatco-Trillo spoke with CNN Philippines Life — the network's lifestyle and entertainment platform — about her career in television. Tanjuatco-Trillo, who is also the new anchor of the 8 o'clock edition of Newsroom, said her experience covering sports back when she was still a courtside reporter prepared her for her future TV assignments, which included stints at the now-defunct Breakfast and News Central. "There's no script for that. It's really a lot of thinking on your feet. So when I transitioned into the morning show, it was sort of, in a way, the same skill set, but you know, with different personalities, and obviously not sort of in the field, so to speak, or in a basketball court, but in a studio," she said. The former host of ANC's long-running Shop Talk, who also served as one of the social media anchors for the Kapamilya news channel's 2016 Halalan coverage, also spoke about her experience covering one of the most contentious elections in Philippine history. "It was really exciting because the network at that time brought in a social media watching platform, so you could really see through the interface of that program because it would produce graphs and what not of what people were talking about [online] at a particular time. So I remember, we saw these Leni Robredo spikes when... at first it was Senator [Bongbong] Marcos who was leading the [Vice Presidential] race and then when she overtook him, you could really see the rise in everybody on Twitter and social media talking about it because we were tracking the hashtags," she said. Asked about her thoughts on President Rodrigo Duterte and his victory during the last election, Tanjuatco-Trillo said it was apparent from the very start that he would be winning the race, judging by how people responded to him online. "Social media-wise, he was getting a lot of mentions. People really liked his platform, and there was a lot of young people voting and they were very excited about having their voice heard," she said.